Living in a tropical country, the only time that I was able to see a fireplace is when I was in the mountains – in Baguio City. 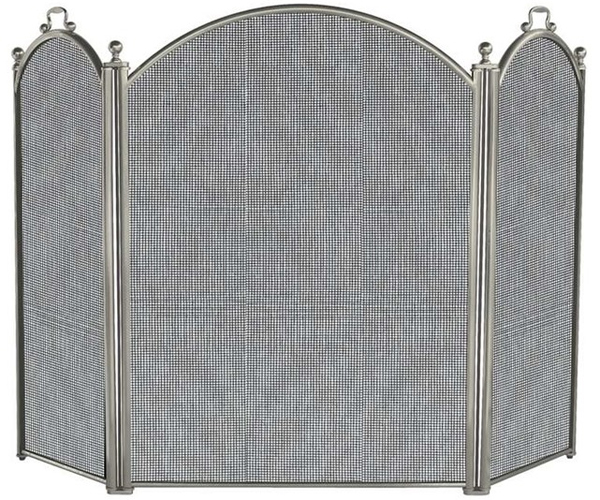 Well I saw one in the neighborhood, except that it was a decorative one rather than a functional one because honestly, we only need it for show since it is rare for us to actually use it since it’s usually humid in here. 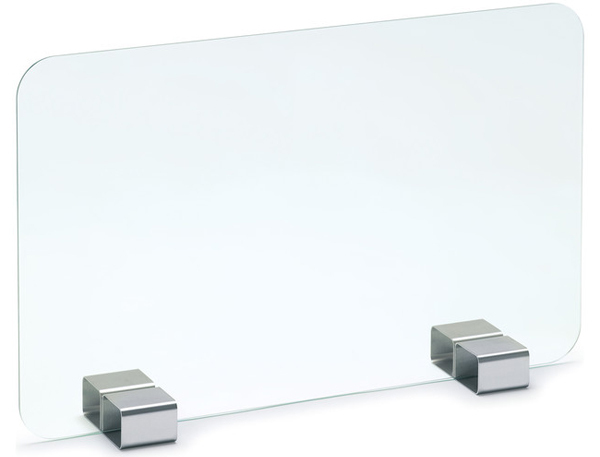 Today, we will not be showing you fireplaces, instead of fireplace screen! 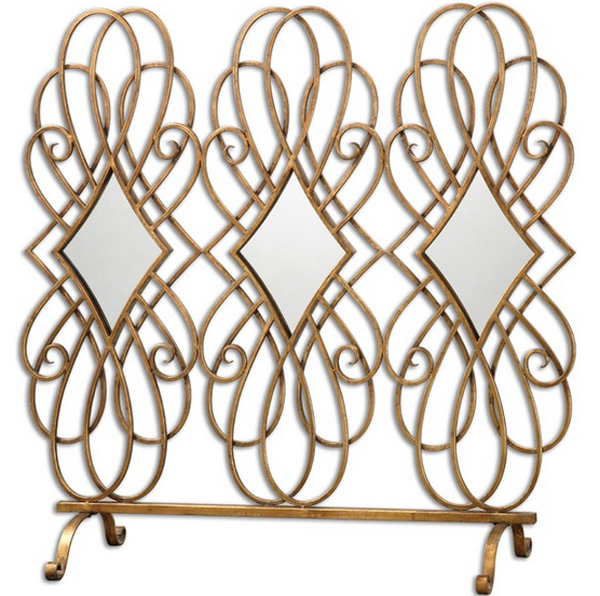 This 20 Gorgeous Home Decors : Fireplace Screens are done in a really crafty way and actually really pretty! 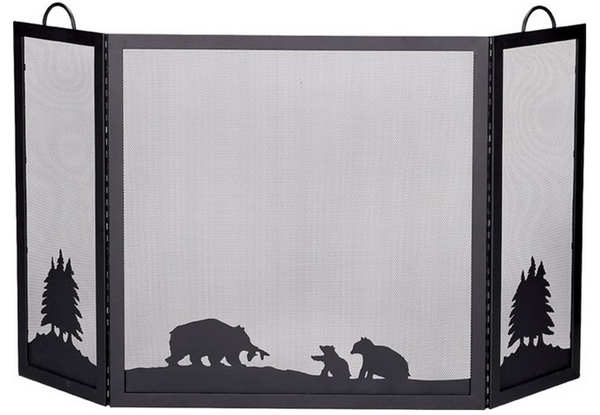 The designs are intricate and captivating that I actually thought for a second that I wanted to get one even if we did not have a fireplace! Crazy, but it sure is okay once you see the awesome designs that we have collected for you guys! 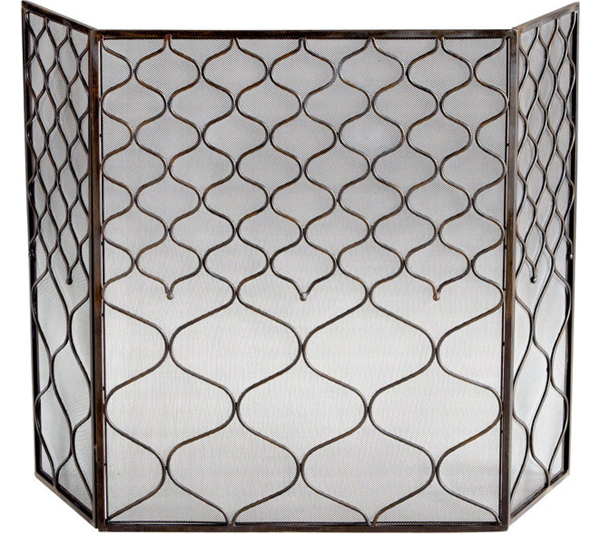 This fireplace screen is ideal for small fireplaces; the design and detail of this screen sure is nifty and nice. 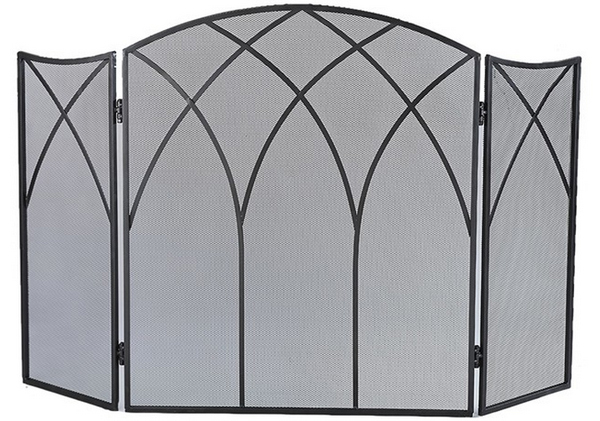 This fire screen can actually pass for a modern one because of the material used and how much simpler this one looks. Love bells? 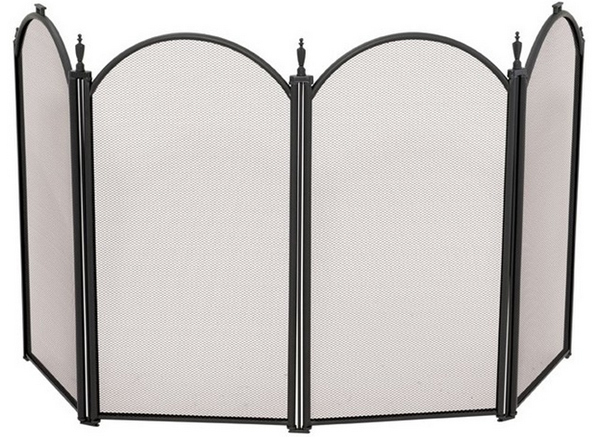 Then this fire screen is for you! 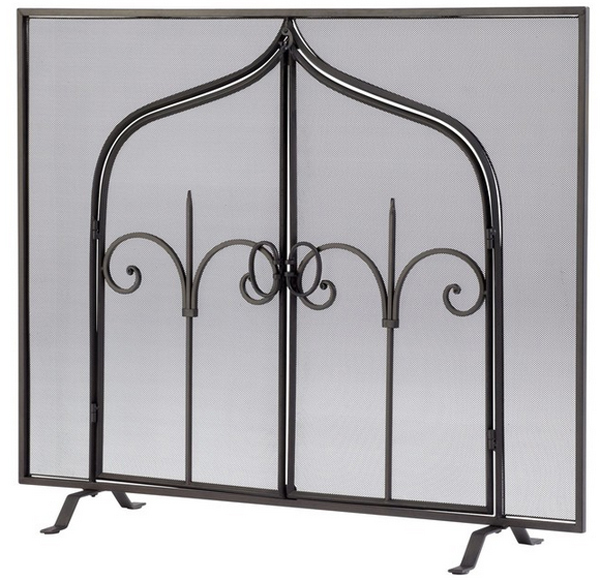 Dual purpose fireplace screen – a candle holder and a fire screen! What more can one ask for right? Maybe something that will hold your drink for you? Bronze, casual but pretty. 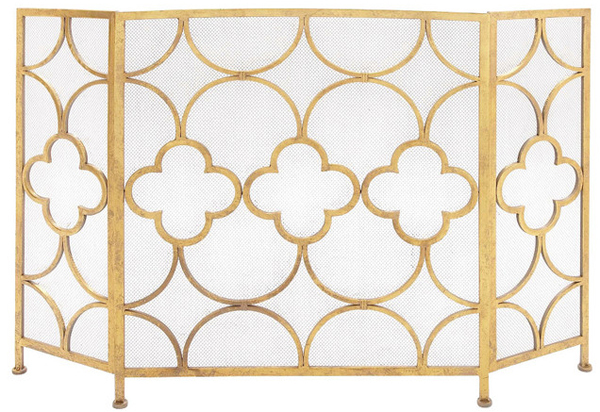 This fire screen’s design will fit any fireplace there is. 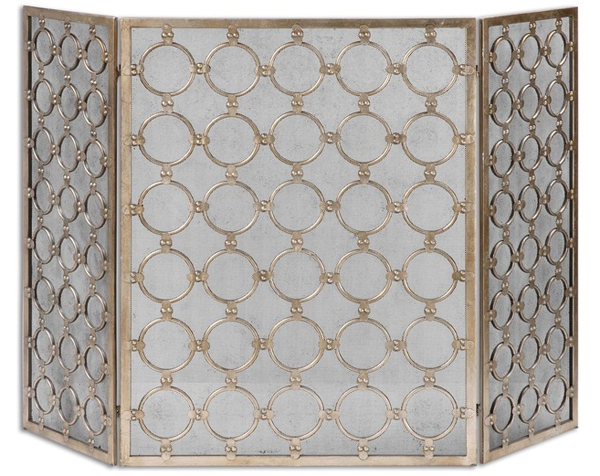 One ordinary looking fire screen that looks cute enough because of the circles! If you like themes, this might actually work for you! If this is how the old world looks like, it sure is simple but beautiful. 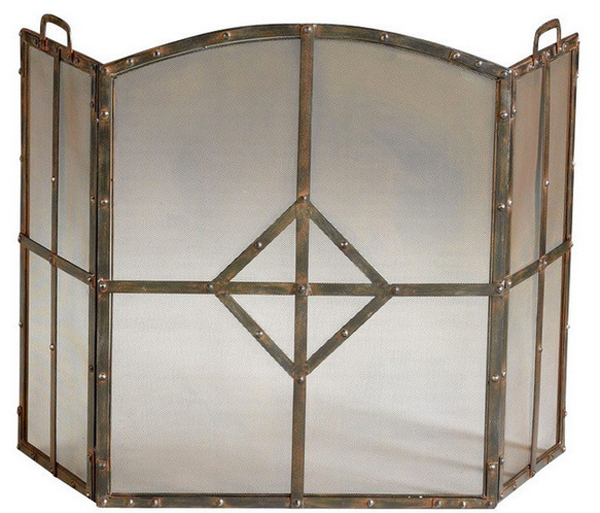 If you live in the country and loves hunting, this fireplace screen would definitely do the work for you; this is indeed a conversation starter. Clean, black and simple but still lovely and functional. 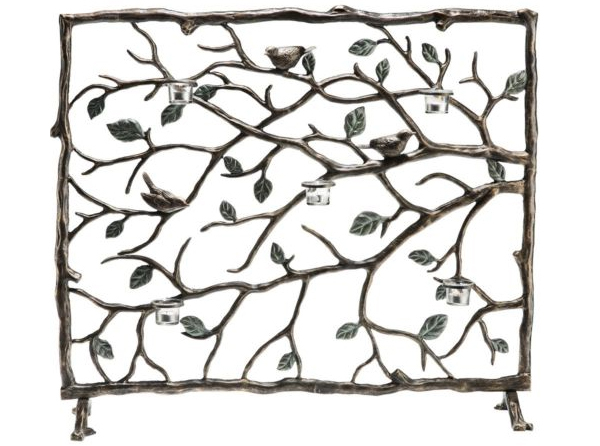 When I first saw the name of this piece, I thought “Game of Thrones,” but who knows, the inspiration might be from there. Church-like – grand but not too showy and bright! This sure looks fancy enough to be owned by a household. I’m guessing this was specially made for a woman. 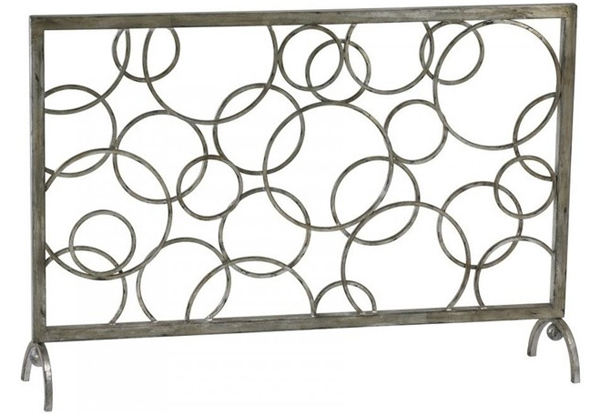 Raw steel, industrial and really rustic; ideal for any home that caters to all those things I just mentioned. 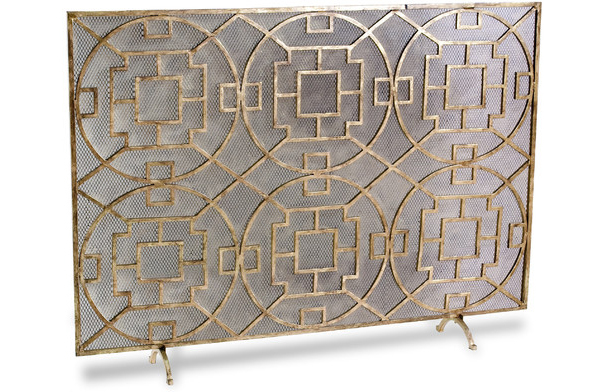 Here is another fireplace screen that use circles as its decorative feature, although in this one it is made prettier and classier! The color is something I actually like and the detail is just superb and pretty. If you liked the one before this like I do, then this one is something you’d like too! 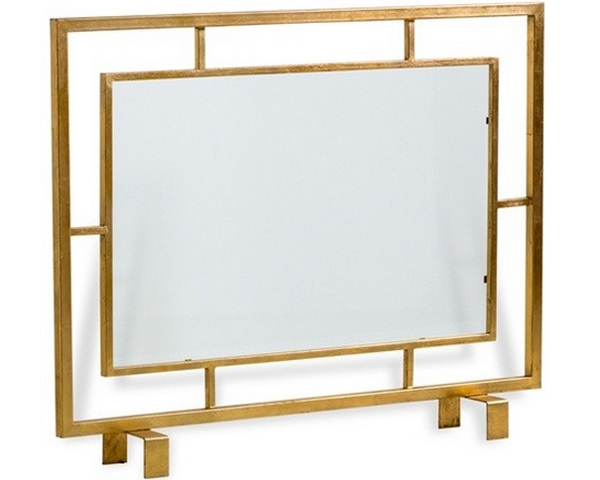 The material and colors used for this screen is special. 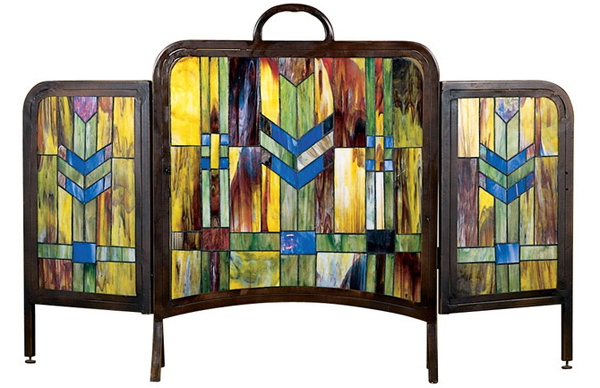 I remember how Tiffany lamps have the same colors. 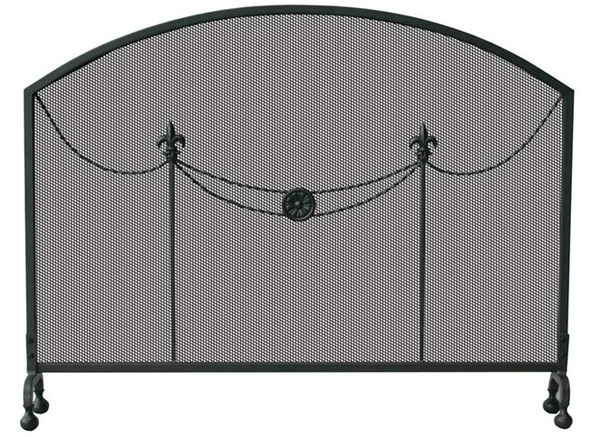 Another cathedral-themed fireplace screen that sure will work for anyone’s home! The simplicity in the detail is just fascinating. This minimalist and contemporary design sure talks to me because of however modest the design is, it still speak its innocence and grace. The details may not seem at all too-elaborate but it sure is adorned enough to be loved and to be unique. 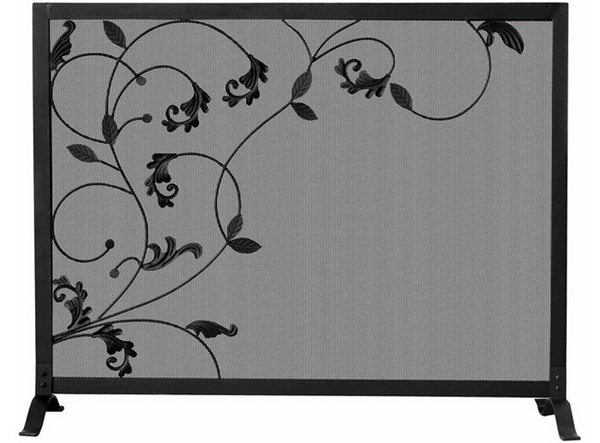 When I first completed the list about room dividers, I thought to myself that I should create a list that showcase fireplace screens because not everyone knows how awesome the designs are, especially in countries where items like them are not seen regularly. 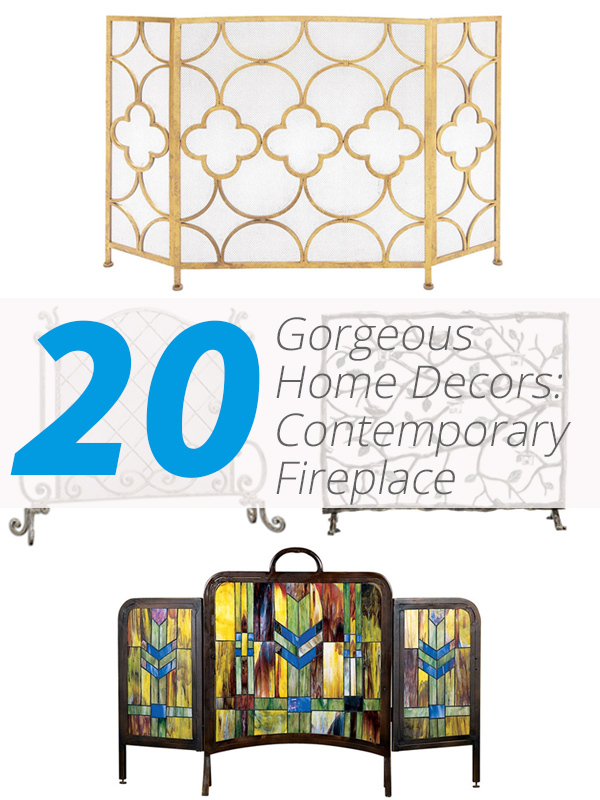 This list of the 20 Gorgeous Home Decors : Fireplace Screens is one list I hope people will get to see more of!